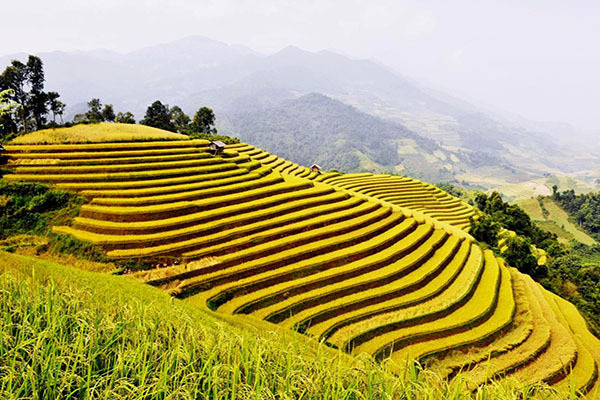 In the recent years, Sapa is recommended as one of the most destinations in Vietnam which attracts more and more tourists yearly. However, but with no nearby airport the only option for getting there is to travel by road or rail and, despite being only 315 kilometers from Hanoi, it’s a time-consuming exercise whichever route you take, so choose carefully. Currently, traveling by bus from Hanoi to Sapa Vietnam is one of the most popular types by some advantages. Sapa can also be reached by bus which is faster but it is less comfortable and less safe — although there have been no reported serious accidents on that particular route, if you can’t get booked on the train or want an option with cheaper price. There are two options for you: by sleeper bus or express Hanoi to Sapa bus. By sleeper bus, it takes you 8-9 hours to go directly to Sapa town. You can catch the bus at three bus stations such as My Dinh, Gia Lam, Yen Nghia and Nuoc Ngam with the bus named Hung Thanh, Hai Van or Ha Son. There are daily buses departing Hanoi at 6.30a.m or 10p.m with the price is around 250,000 – 350,000 VND. It depends on traffic and weather. 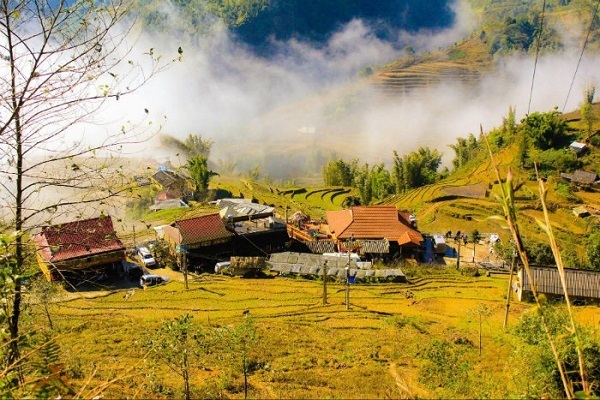 You will enjoy the landscapes along the road between Hanoi and Sapa. There are 5-7 bus companies departing between Hanoi to Sapa with need over 5 hours. Most buses offer comfortable seat, and bus are generally cheaper than train tickets. 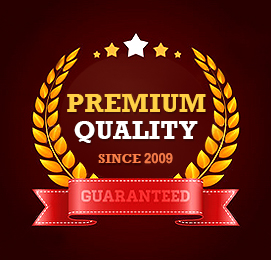 You can consider the list of recommended bus companies. 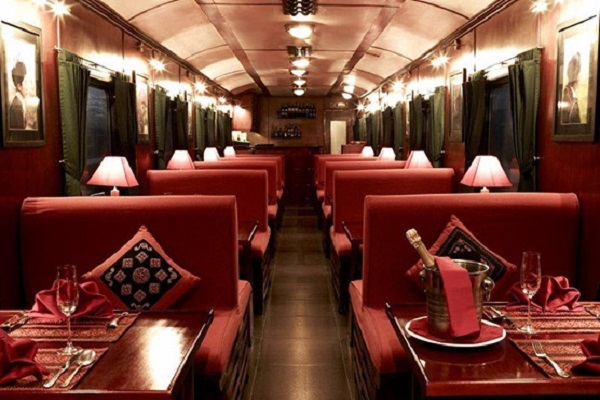 Operated by Victoria hotels and resorts, a famous hotel chain in Southeast Asia, Victoria Sapa Coach is on the same par of excellence as Victoria Express train. This bus has created by 24 reclining seats, making your 5 hour transfering. Since its opening, Victoria Coach presents its image as a 5-star bus specializing in serving international tourists. With fully-equipped models, Victoria Coach promises to ensure the absolute safety for its customers. 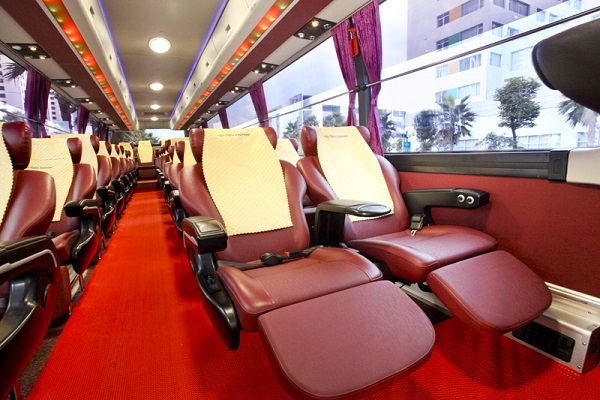 This bus is built by the luxury interior allow tourists to enjoy a good journey in the relaxation. Don’t worry about the conflict of language, the staff in this bus completely speak English very well in order to adapt your requests. Besides, the leather seats, individual tablets with headphone, power socket for phone charging, Wi-Fi are prepared for clients. Passengers will provided wet tissues, snacks, and 1 bottle of mineral water. EcoSapa is operating 2 Limousine cars to bring tourists from Hanoi to Sapa and vice versa. Ecosapa Limousine will bring tourists the satisfaction with modern facilities for a trip to reach the most favorite destination in Vietnam. Especially, if you want to get the best services, let’s choose one of 9 luxury soft seats to create a spacious and airy space. This bus is also constructed by the modern amenities such as TV, Wi-Fi, electricity sockets, transport insurance for their customers. 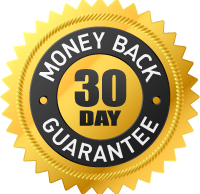 Thus, Ecosapa Limousine has pleased a great number of customers. Sapa Express is a luxury seating bus connecting Hanoi – Sapa and vice versa. They have gained the satisfaction from millions of customers travelling to one of the most favorite destinations in Vietnam, during more than 5 years. Limousine Noble 29-seat/ 45-seat is a high-quality and new model bus. This bus provides customers air-conditioning, cold towels,… Otherwise, like others bus, clients are also offered the mineral waters, blankets, pillows, and snacks. King Express Limousine is a popular brand for coach service from Hanoi to Sapa. It ensures their passengers to feel comfortable by 8 seats and exceptional punctuality, from Hanoi to Sapa (drop off in Ta Van village is available for $5 extra). King Express offers a spacious and airy space for customers. Offering luxury interior and other services including TV, Wi-Fi, electricity sockets, cup holder, transport insurance. Of course, getting Sapa by train is the safest, so if you want to travel by car, you should search for the forecast weather to adapt the safe. The four seasons are distinctly felt in Sapa. Firstly, the winters in Sapa get cold, with some fog and drizzle, and snow falls in some years on the highest peaks. In winter, fog filled the space, making the landscapes look more mystery and attractive. Spring is bright with pear, peach, apricot and plum flowers. Summer comes blooming with pansies, sunflowers and numerous tropical fruits. For our experience, in Summer, the storm can operate so one suggestion for you is to transfer from Hanoi to Sapa by train. Next the season is the time for perfume mushrooms, wood ears and medicinal plants… The sky is becoming clean with golden sun-rays and white clouds. The local people grow rice on terraced fields in April and May. If you stand from afar, the terraced rice fields look like a picture of nature beauty keeping. The most charming beauty happens when the new crop begins and the field is lush with ripening rice. It rains heavily in July and August. The weather is changing frequently and quickly. It is cool like the weather of spring and autumn during a day. However, at noon, it is as sunny and cloudless as the weather of summer. And it is cold in the evening. In September and October, tourists can feel prosperity while admiring the terraced rice fields look like golden silk scarves above green mountain slopes, making beauty. Sometime, Sapa has the temperature drops to below zero degree from late December to February. So it attracts many tourists and photographers and strangely all the most beautiful pictures as tree branches and grass are covered with ice. Some recent years, snow falls at the end of December which is the great time for a Christmas holiday and New Year vacation. Travelling to Sapa at this time, visitors can join in the traditional festivals and keep the picture described in the Snow Queen fairy tale of Andersen. Sapa is the best place for trekking. Depending on their trekking skills and ability, tourists can choose the trekking route which is most suitable, as Sapa offers a wide range of trekking spots from easy to hard level. You can choose the guides are local as they have long experienced process. And they speak great English, so know that you book a trekking guide. If you take a guide tour, you will be picked up from your hotel to the destinations by their mini bus. The average price for short- term motorbike rental is about 120.000VND (~5,5 USD) /day. If you rent the motorbike overnight, the price will be higher. 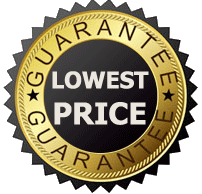 The average price for short- term bicycle rental is about 10 USD for full day (8:00 – 17:00) and 6 USD for half day (8:00 – 12:30 or 13:00 – 17:00). – Nearby hotels, you can easily find this service with the driver hanging a sign reads “XE OM” in front of the motorcycle. - Ask the price clearly to reach an agreement before sitting down on the pillion. You should ask the receptionist for bargaining the price. Thang Co is the traditional food of H’Mong people and it has been cooked the horse meat. Your feeling will be blown away once you taste it. Chiefs stew horsemeat with these 12 spices within a couple of hours. To eat more and more Thang Co soup, they eat additionally with fresh vegetable of Muong Khuong. Cap Nach pork is a specialty of this mountainous area. There are some particular to cook the dish. However, they usually grill a pig directly on coal so that the skin covering the pork is very brittle while the pork inside is very delicious. Others stir-fried pork with little or no water but still keeping the pork is soft with a hint of spicy. 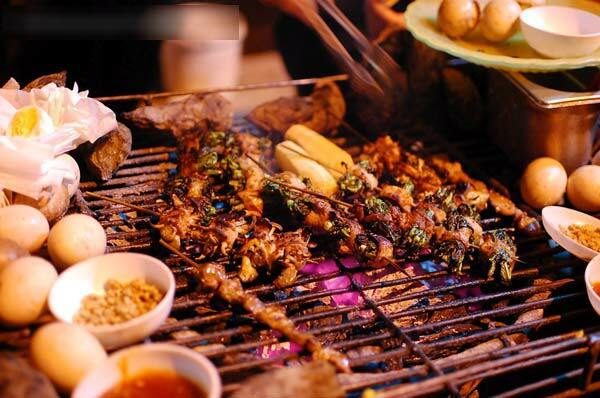 BBQ foods are the most famous delicacy of Sapa. Almost tourists come to here, who already enjoy the hot and tasty barbecue with many different local ingredients. There are various foods in here you should try like potatoes, cassava, eggs, chicken wings, Meo spinach, stream fish, or bamboo pipe rice… With special local tastes, Sapa BBQ has an unique taste that differ from others. There are many street restaurants offering barbecue in Sapa town. Sapa is an ideal destination for those who are looking for unique shopping experiences in an area of picturesque hilly nature and rich ethnic cultures. When you walk around Sapa town, it is easy to find some souvenir shops you like. They provide good presents for you to bring home. Indigo Cat is a lovely, authentic H’Mong handicrafts shop. All items are made by herself and her family members. Many of handmade items cannot be found in other shops. Moreover, this shop offers a wonderful of interesting local crafts including bags, clothing, pillows and belts. You can try your hand at learning the local craft at one class. You might gain a deeper appreciation for the amount of work that goes into the garments the women are wearing, and next time you buy something from free people, know the difference. The places attract more travellers coming to Sapa are local markets such as Sapa market, Bac Ha market, Coc Ly market,…. Here you will have a chance to buy souvenirs from the local hilltribes themselves. Moreover, you also try the traditional foods in here and know the activities in the ethnic markets. The ethnic monitories need to trek long distances to gather here and sell you their hand – made nice items, most impressive of which are colorful clothes made of local fabrics. In Sapa Town, you will find many the hill tribe vendors with crafts ranging from bags, wallets and pillow covers in the night market. It offers different delicious dishes, most of which are grilled or roasted ones. Visiting Sapa, you should try once time the dish of baked or grilled meat, beef, fish, and vegetables is a great pity. There are many other delicious dishes to be explored in Sapa. If you have chance, let’s spend time to come night markets.